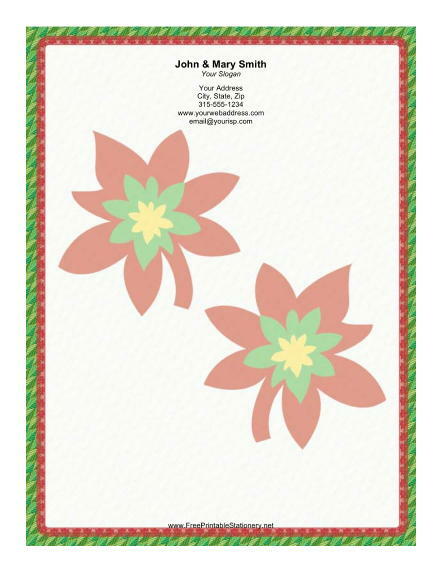 A pair of large colorful poinsettias are centered inside a red and green border on this holiday paper. The border background consists of bright leaves, following the Christmas tradition of green life in the winter months. This subtle stationery is perfect for sending out holiday greetings to everyone you know.